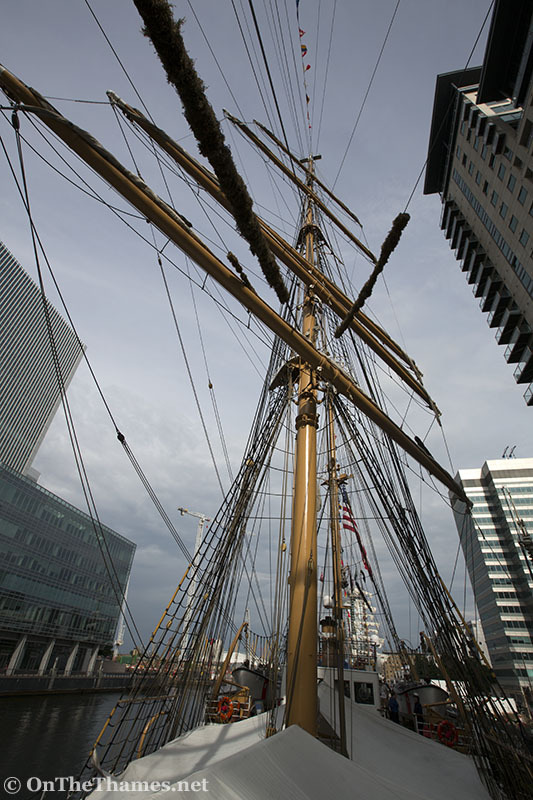 TWO tall ships arrived on the Thames from Mexico and the United States this week - and they're both open to the public this weekend. 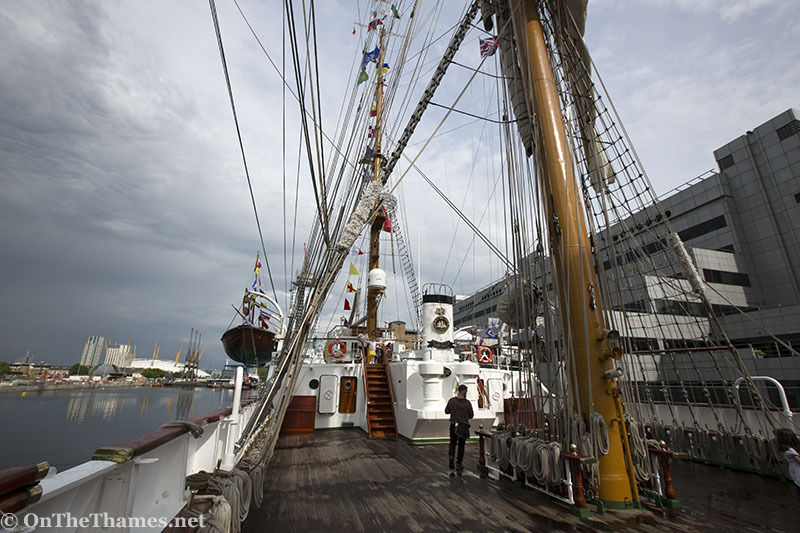 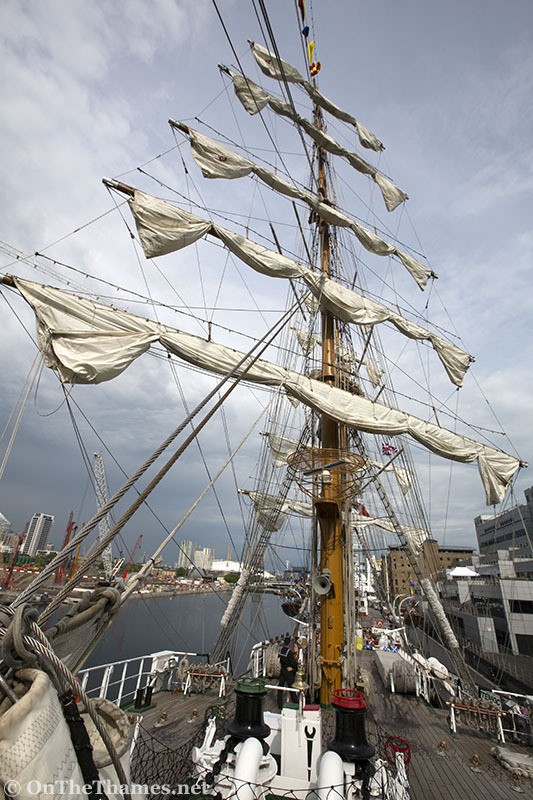 First to arrive at West India Docks was the Mexican navy's sail training ship ARM Cuauhtémoc. 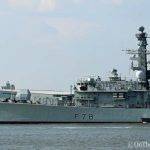 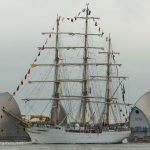 Dressed in colourful signal flags, the 90 metre long barque came up the Thames on Tuesday afternoon, with sailors manning the arms as they entered Bugsby's Reach. 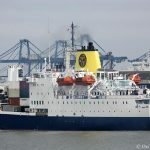 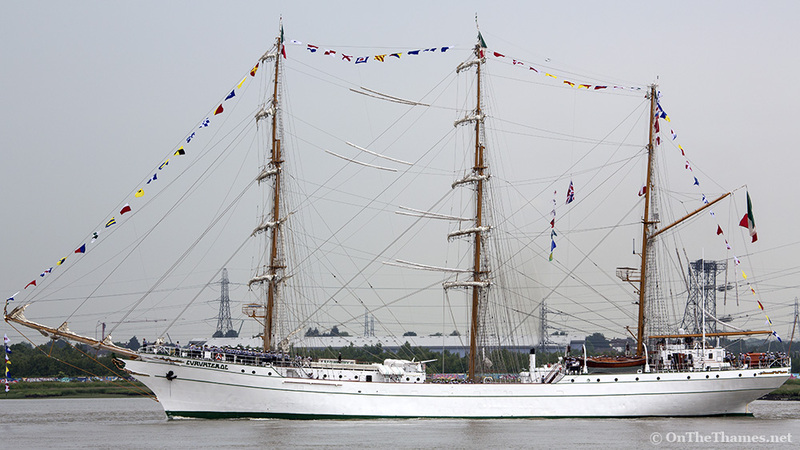 Built in 1982, she is a sister ship to Colombia's ARC Gloria which paid a memorable visit to the capital last year. 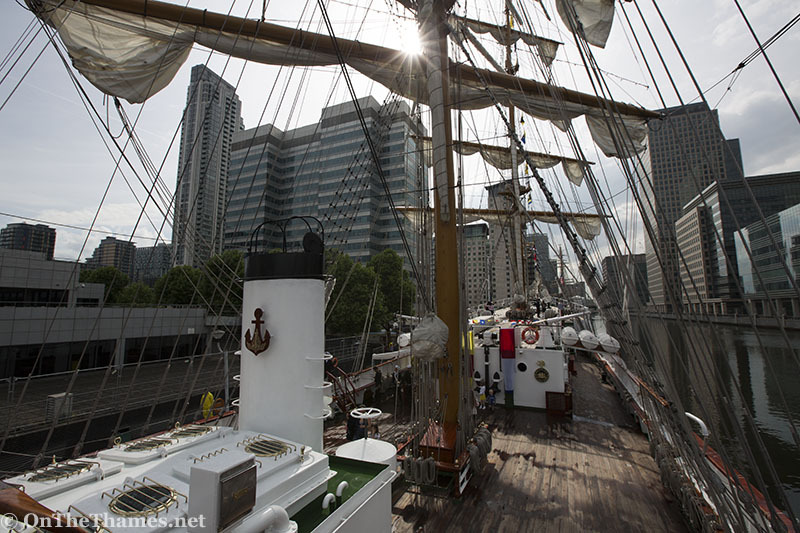 ARM Cuauhtémoc has been open to the public this week and will remain open on Saturday and Sunday between 10am and 8pm. 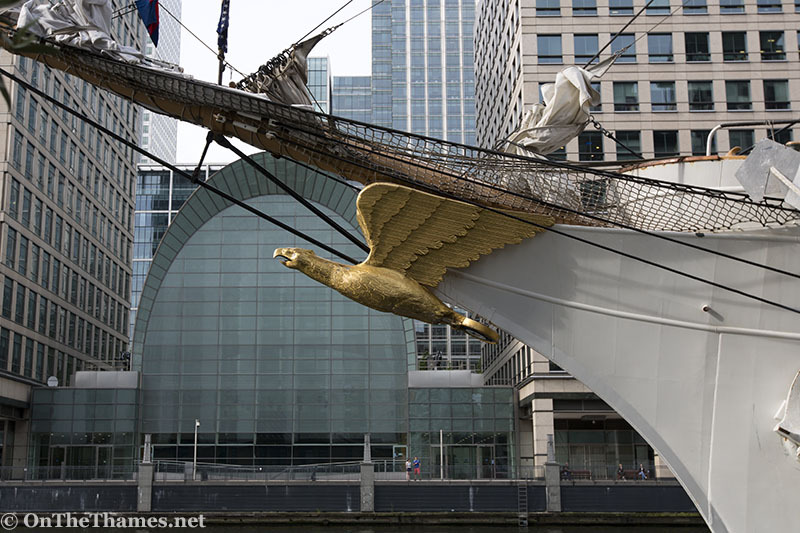 Arriving on the Thames a day later was the US Coast Guard Cutter Eagle. 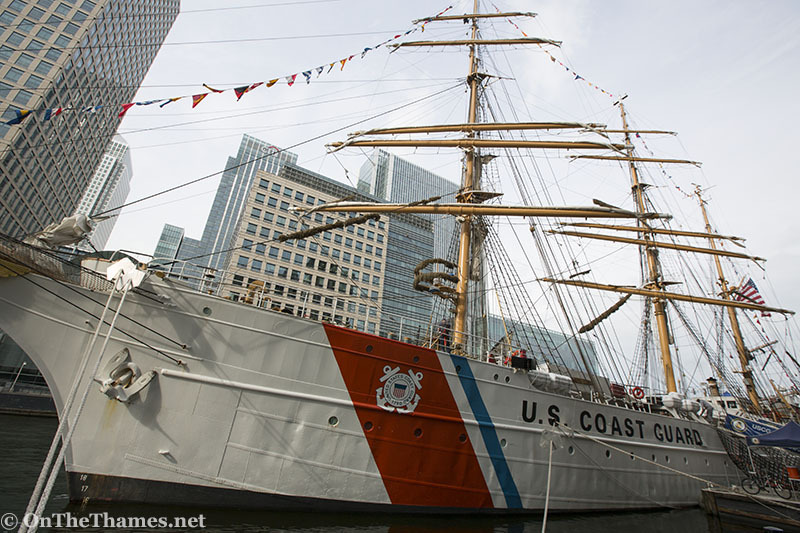 The 1930s-built barque is used for training future officers in the US Coast Guard. 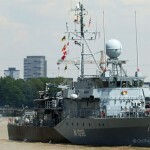 She was originally built by the Nazis under the name Horst Wessel and her launch was attended by Hitler where a speech was given by Rudolph Hess. 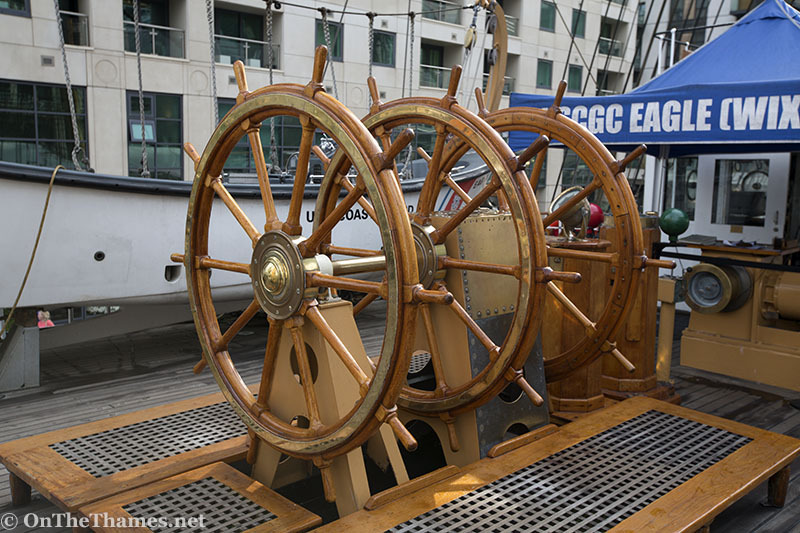 Following Germany's defeat in WWII, she was one of four vessels handed over as part of reparations and entered service in the US Coast Guard in 1946. 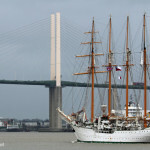 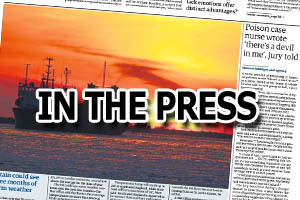 Eagle arrived on the Thames on Wednesday where she moored overnight at Higham Bight just downstream of Gravesend. 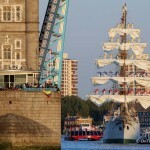 She set off towards London early the next morning, arriving at around 5am. 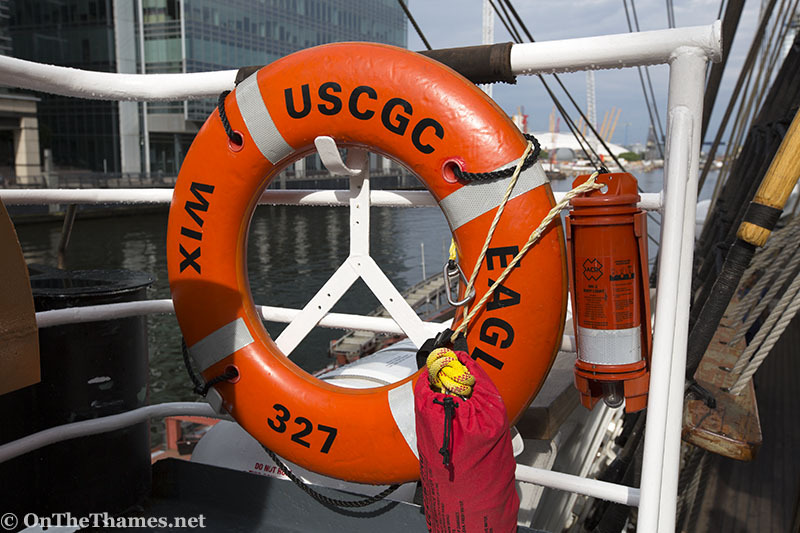 USCGC Eagle is also open to visitors this weekend at West India Docks. 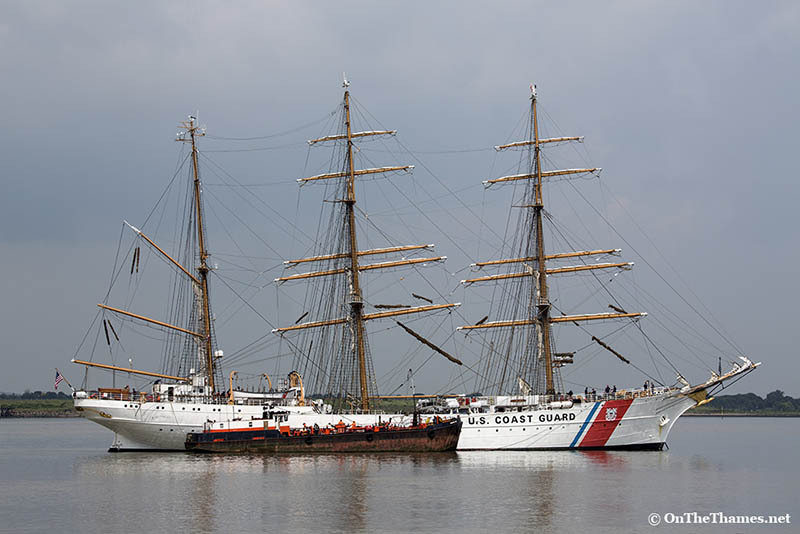 Die “EAGLE” hieß früher “HORST WESSEL”. 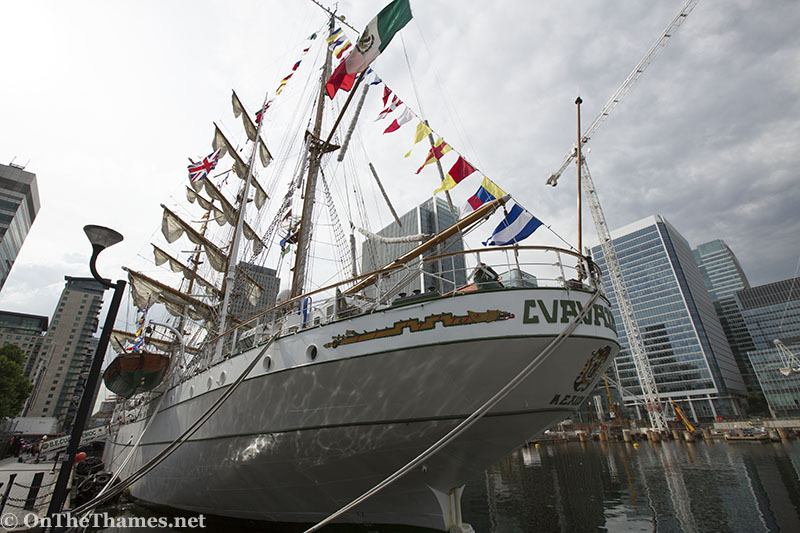 Nice to see the Eagle out there after touring her in biston and maine.